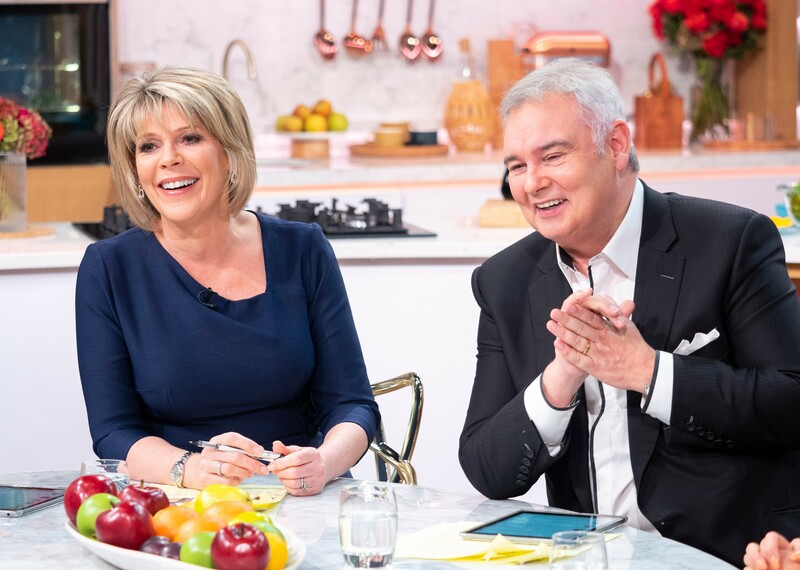 This Morning’s Ruth and Eamonn are one of TV’s most popular couples, and their cheeky banter and love for each other makes them a joy to watch. Their chemistry is undeniable and the couple are very open about their happy relationship. And it seems the pair have always been smitten with each other. In an interview with The Mirror, Ruth shared what she thought of Eamonn when she first set eyes on him – on a normal day at work. She said, “I remember when I saw Eamonn for the first time. “I was working as a transmission assistant for ITV and we had a monitor we called the ‘dirty feed’ from the BBC, and I used to see this dark handsome man hosting a show called Open Air, so I would flick over my headphones and think, ‘He’s nice. Who is that?’ Little did I know…” How sweet! Eamonn and Ruth married in June 2010 and it seems they haven’t looked back since! 59-year-old Eamonn is quite the romantic himself, and often shares sweet messages on social media about his wife. With Valentine’s Day around the corner, the big question is how will the romantic couple be celebrating? Well, it seems Ruth is not overly keen on the celebration, finding it all a bit ‘forced’. Eamonn on the other hand thinks it’s lovely to agree that certain days in a relationship should be made particularly special. He confessed, “It’s a bit of one-way traffic on Valentine’s Day at ours. I don’t think Ruth would care if it happened or not, but I think it’s lovely to remind your partner that they’re the one for you. Hopefully the couple will agree on a plan before Thursday!